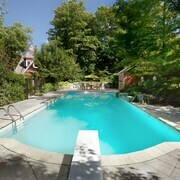 Situated in Grey Highlands, this hotel is within 1 mi (2 km) of South Grey Museum and Historical Library and Artsonten. Hoggs Falls is 2.3 mi (3.7 km) away. The Gray Rose is a hidden Gem in Hanover. The rooms are fabulous unique and spotlessly clean. Where to find Markdale hotels near an airport? 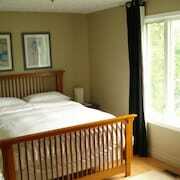 Where can I find hotels in Markdale that are near tourist attractions? 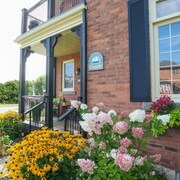 You'll find only 1 accommodation option that are less than 0.1 kilometres (0.06 miles) from downtown Markdale, so look into securing your room well before your departure date. 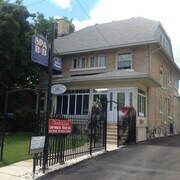 Although Markdale can't lay claim to having a huge array of hotels close to its downtown area, Danby House Bed and Breakfast should be close enough to satisfy most visitors. 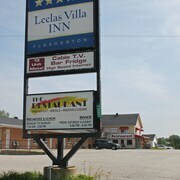 The Penny's Motel can be found 30 kilometres (20 miles) from the middle of Markdale. Or, alternatively, the Holiday Villa Resorts - Thornbury Royal Harbour Resort is located 30 kilometres (20 miles) away. 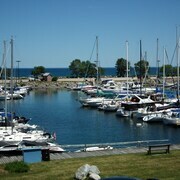 The Royal Harbour Resort as well as the Danby House Bed and Breakfast are other alternative options in Markdale. Once you have spent time in Markdale, why not go a little more of the area? The Southern Ontario region has many things to see. 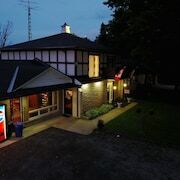 Spend time at Southern Ontario's traditional villages, churches and art museums and also admire the area's beaches, coastal plains and forests. Common activities in this particular part of Canada include skiing, cross-country skiing and snow shoeing. Kincardine is 80 kilometres (50 miles) to the west of Markdale and is home to the Station Beach and Kincardine Lighthouse. Expedia-listed Kincardine hotels include the Holiday Inn Express Hotel & Suites Kincardine - Downtown and Best Western Plus Governor's Inn. Alternatively, you could stay in Southampton, 60 kilometres (37 miles) to the west of Markdale, where you'll find the Quality Inn and North Shore Cottages. If you're staying in Southampton, set aside a little time to visit the Saugeen Golf Club and South Port Golf Course. Get your sports fix by making a trip to Alumni Stadium, which is 95 kilometres (58 miles) to the south of Markdale. Stay near the action at the Delta Hotels by Marriott Guelph Conference Centre or the Holiday Inn Guelph Hotel and Conference Centre. Visit our up-to-date Markdale travel listings and discover the many things that this area offers visitors. What are the most popular Markdale hotels? Are there hotels in other cities near Markdale? 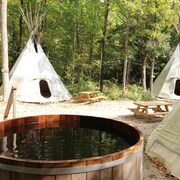 What other types of accommodations are available in Markdale? 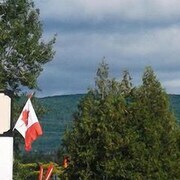 Explore Markdale with Expedia.ca’s Travel Guides to find the best flights, cars, holiday packages and more!